Natural Balance Foods are a big favourite of mine. The first product I tried was their Nakd Bars; their Naked Protein Crunch Fruit Bars are a great alternative to a chocolate bar! 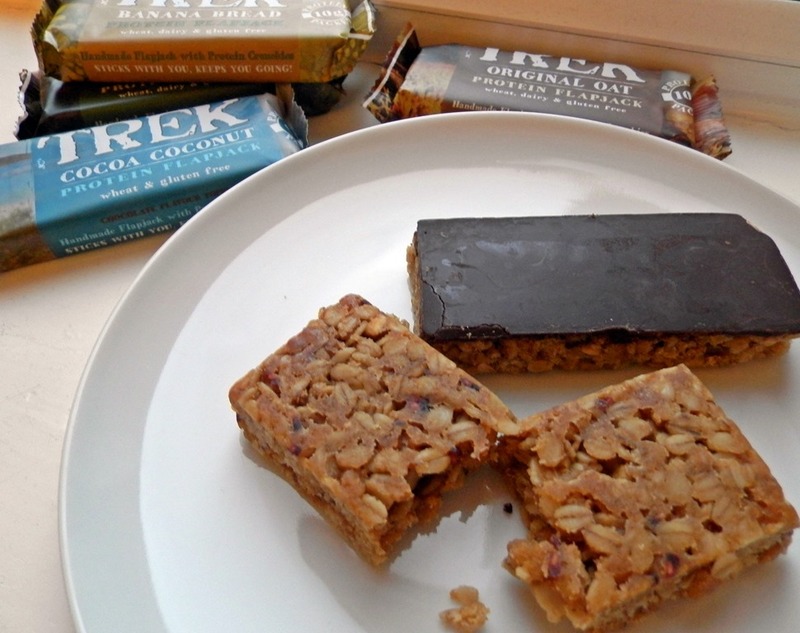 After purchasing a box of their Nakd bars and receiving a sample of the Trek Cocoa Coconut Flapjack and instantly falling in love I next tried the whole range of Trek Protein Flapjacks*. I received a box of 16 bars of flapjack, in 6 different flavours. Upon receiving my box at work, my colleagues were quick to get their mitts on them and give them a try. Thankfully I managed to hide some to take home and try myself! 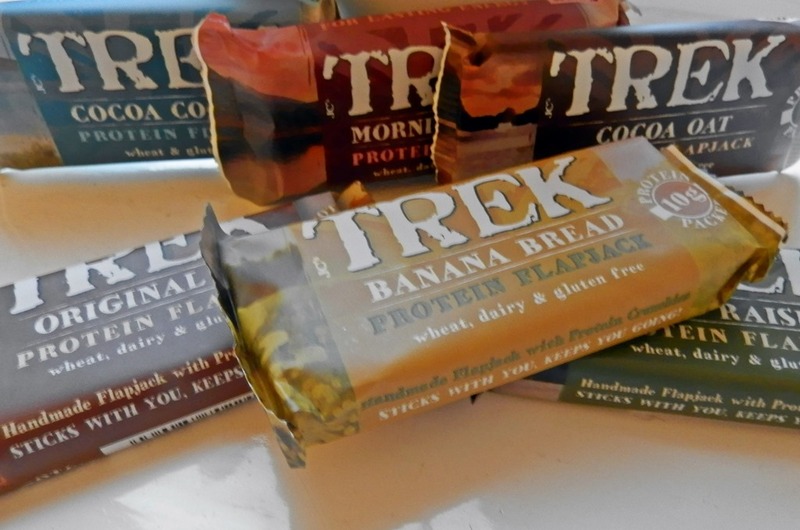 So what’s so great about the Trek Protein Flapjacks? Firstly, they are gluten- free! Secondly, they are packed with 9-10g of added protein so they keep you feeling fuller for longer so you are less likely to snack later in the day! Obviously they are a healthier version to the flapjack you are used to. For this reason they obviously taste a little different. Well its not so much taste but texture. They are a little drier than usual because they aren’t laden with sugar and syrup. I don’t mind this at all as I would rather snack on a healthier flapjack such as these Trek Protein Flapjacks and live with the drier texture than snack of sugar filled flapjack that will give me a huge sugar boost and crash a few hours later. As they are a little drier than the flapjack I am used to my favourites are the ones that are covered in chocolate… obviously! For me the Cocoa Oat Protein Flapjack and the Cocoa Coconut Protein Flapjack. They are both sweet, so satisfy my afternoon cravings, but also filling. So after eating one I know that I will not be hungry until hours later. I have had the plain flavoured and banana flavoured ones for breakfast and been able to last until lunch without snacking. I think you can buy them singularly in supermarkets, but you can buy them in big packs online at £14.99 for 16 bars which works out at only 93pence a bar… an absolute bargain! I highly recommend these Trek Protein Flapjacks, the Nakd fruit bars and pretty much the whole range of Natural Balance Foods! Have you ever tried these protein flapjacks? Or do you favour other products of Natural Balance Foods?